A Cuddly Raccoon? Yes, Really! 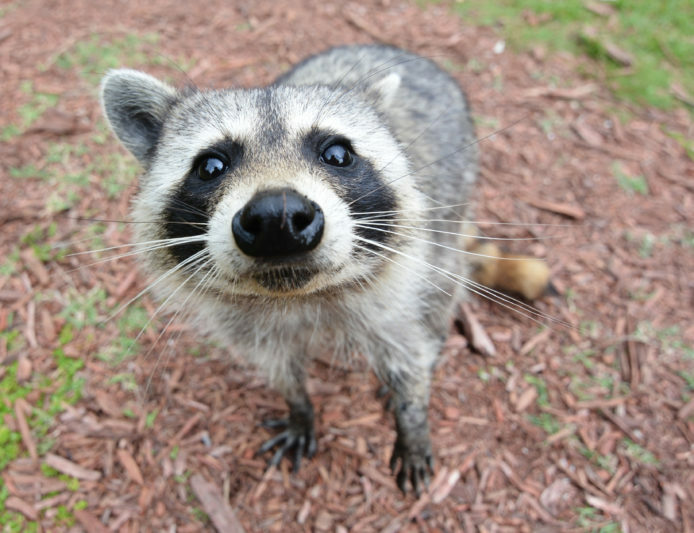 If the first thing that comes to mind when you think of raccoons is that there’s one knocking over your trashcan at night, you’re not alone. In the US, raccoons are generally seen as pests, but you’ll find a very different creature living in Guadeloupe. Raccoons are so beloved on the island that Ti’ Raccoon, a cute furry mascot, is even the logo of the National Park. That’s a long way away from the critter you saw scurry off with an empty potato chip bag last night! Local enthusiasm isn’t the only thing that sets these raccoons apart from the North American variety: they’re smaller and more delicate creatures with shiny grey coats. Scientists think that island raccoons were separated from their mainland cousins so long ago that they’ve actually evolved into a variant species. Rather than scavengers, island raccoons are skillful hunters and fishermen, especially for the crawfish around Guadeloupe. But be careful not to fall too much in love – though Guadeloupe’s raccoons can be playful, affectionate and tame pets, the species is protected by the island, and domestication is a big no-no. Once the raccoons latch onto someone’s lovely human scent, it’s almost impossible to return them to their natural habitat. Better to just take a hike through the National Park and keep a look out for these cuties running wild.